Maureen’s first book, “My Naked Journey – A Reiki Master’s Quest to Live Authentically” was published in 2003. Since then, she has also been a contributing author in “Chicken Soup for the Soul, Life Lessons for Mastering the Law of Attraction (2012)”, “Messages of Peace from Hawaii (2013)” and “Messages Straight from the Heart (2014)”. Originally from Vancouver Island, Canada, Maureen learned early to “ follow her heart” and at the age of 21 moved to Honolulu, Hawaii to live where she felt ‘ called’ to be. After college she had an extremely varied professional life – as a Preschool Teacher, Outside Salesperson, Stockbroker and Corporate/Business Manager. Maureen left the corporate world in 1995 to begin traveling and teaching Reiki (a form of alternative healing). 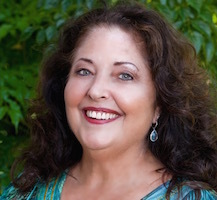 Through her work, additional intuitive gifts developed and she now incorporates her business experience, her holistic tools and her intuitive gifts to empower others to live “InJoy” in all areas of their life, especially business! Those that know her describe her as “outrageously fun” and “down to earth” – find out for yourself!